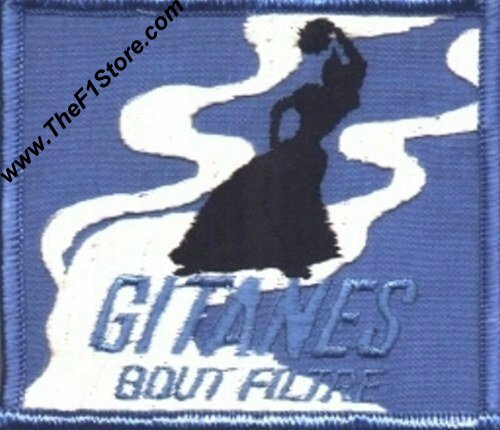 Gitanes Bout Filtre Sew-On Patch ca. 1976. Former Sponsor of the Ligier Formula One Team (a.k.a. Prost Grand Prix). It measures approximately 7.5 x 7.5 cm or 3 x 3 inches.